I am beginning to think the volcanoes plan it this way, but what is up with two of the biggest eruptions of 2011 falling on the weekend? Definitely makes it more difficult for me to keep up with all the action, that is for sure. Saturday we saw a large eruption from Puyehue-Cordón Caulle (top left) in central Chile - the first major eruption of the volcano in 51 years. The ash plume from the volcano was quite spectacular, soaring over the clouds and rapidly spreading eastward over Argentina to reach the Atlantic. 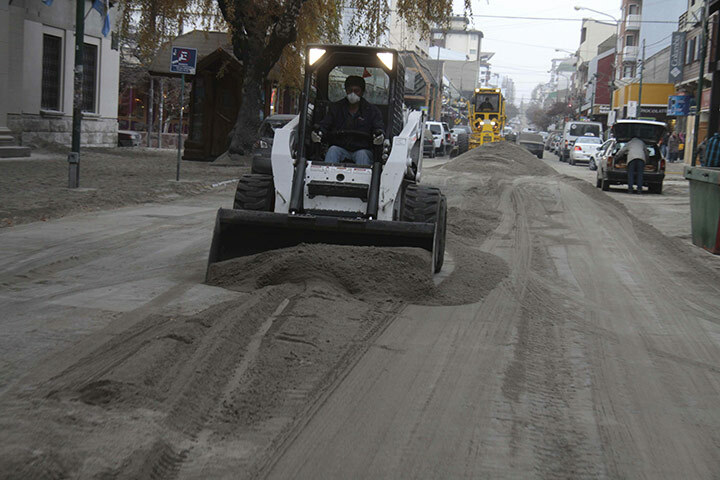 Some towns near the volcano, including the resort town of Bariloche, saw some significant ash fall from the volcano as well and a state of emergency remains in place for the area. 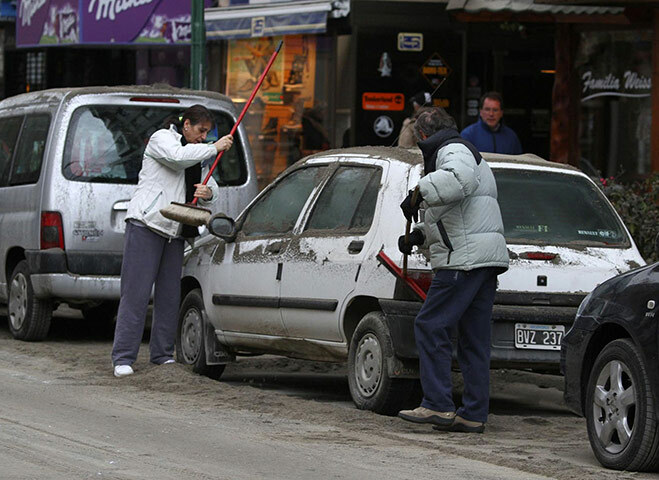 The effects of the ash (video) were seen in many parts of Chile and Argentina, so flight disruptions were also widespread due to the eruption. This ash is not only a hazard to air and water, but also could lead to lahars - and the Chilean government has evacuated some people near the volcano for just such a fear. Some of the latest reports suggest the activity at the volcano has waned significantly, but with any eruption this size, this could change rapidly. Right now, very little of the plume appears in the satellite images, suggesting the volcano is calmer. So far, thousands of people have been evacuated from the areas around the volcano. 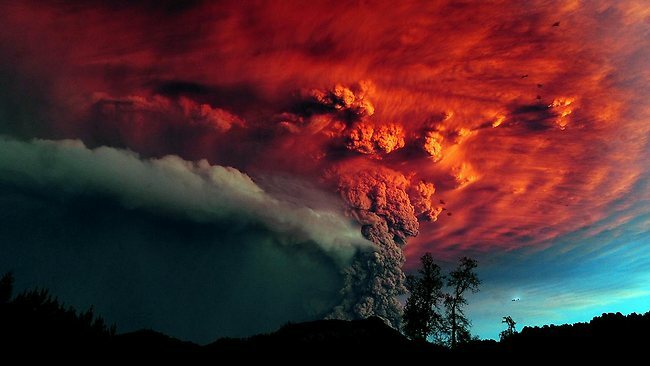 The ash plume from the June 4, 2011 eruption of Puyehue-Cordón Caulle, Chile. Click here to see a larger version. The eruption itself occurred northeast of the vents that were active during the 1960 eruption - if you look at the geologic map of the volcanic complex, you might notice that little half-circles are marked northeast of the red area that demarcates the 1960 activity. These half-circles are partially buried craters of previous eruptions, suggesting that this is not an entirely new center of activity. This type of activity at Puyehue-Cordón Caulle (and a lot of the central Andes) is not atypical - large explosive eruptions from subsidiary vents on larger volcanoes are known at Quizapu (Chile) and Hauynaputina (Peru) (and likely more). If you're interested in the relationship between the 1960 eruption and the major Chilean earthquake of that same year, check out this article from the Journal of Volcanology and Geothermal Research. I'm sure that many people will be looking to see if there is any connection between this eruption of Puyehue-Cordon Caulle and the large Chilean earthquake of 2010. The plume from Puyehue-Cordón Caulle seen on June 4, 2011 from a flight from Puerto Montt to Santiago. Click here to see the original. There is a bevy of amazing images and video of the eruption, not surprisingly. This great video of the eruption plume shows the billowing grey-tan ash roaring out of the vent. You can get a sense of the energy of the eruption by looking at the video and then watching the animated GIF of the ash plume starting and spreading over southern South America over the course of the weekend (along with it, lots of sulfur dioxide). POVI has put together a great array of images from the eruption showing the size of the plume from the eruption as well. As it seems for any eruption these days, people love images of volcanic eruptions and lightning - and Puyehue-Cordón Caulle was no slouch in that. In this BBC collection, you can see some of the golf ball-sized pumice that fell in parts of Argentina near the volcano - again, showing just how powerful this eruption is (video).